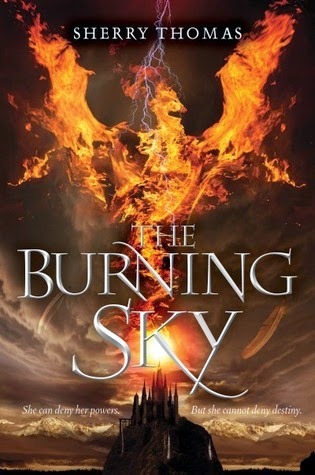 The Burning Sky is a mesmerising epic fantasy with compelling characters and a heart achingly beautiful romance. The world building in The Burning Sky is phenomenal. Thomas has weaved together a world of magic, adventure, and intrigue. In an effort to correct a tainted batch of light elixir, Iolanthe Seabourne summons a bolt of lightning and sets in motion a chain of events that will forever change her life. Watching from a great distance, Prince Titus spot the lightening, and recognises immediately that the prophecy for which he has been preparing for his whole life has come true. The mage who has summoned this extraordinary lightning bolt is prophesied to be the greatest elemental mage of her generation, the one that can help him free the realm from the grips of the greatest tyrant the world has ever known. Titus must train Iolanthe, all the while keeping her identity a secret from the world, because if the Bane finds out he will stop at nothing to find her. Iolanthe is an incredible heroine. In order to keep her identity a secret she joins Titus and masquerades as boy at Eton college, a public school for boys. This is the only way she can train without arousing suspicion. For someone who is thrust into an unexpected situation with no preparation or training she adapts quickly and plays her role as Archer Fairfax well. Although at times she is uncertain, she never complains or whines making her an admirable mc in my books. "Sherry Thomas is one of the most acclaimed romance authors working today", and I can certainly see why. The relationship between Iolanthe and Titus is one I found myself easily rooting for. The back and forth banter, the slow burning romance and the eventual build up of trust was perfectly executed. The Burning Sky is most definitely one of my favourite books of the year so far. The first in a planned trilogy this is a must read for fantasy fans! *Quote taken from e-arc. May be subject to change. yeay! I am SO happy the romance was fantastic, usually that is what brings down the dystopian/sci-fi books. I actually just got this on my doorstep so I am EXCITED though it comes out in september so I won't be reading it anytime soon. "Epic fantasy" I know enough :D This book has been on my reading list for a while now and this sounds like something I will really like! Great world-building (important!) and good characters = a winning combination. This book sounds fantastic! And the cover is gorgeous. It seems to have everything - world-building, likable characters, etc. I kind of want to read it now. Too bad it's not out until September... Oh well, a little waiting to build up the anticipation is not bad. Great review! Your first sentence convinced me. I like the "epic fantasy" part the most. These are so rare lately! I requested this one but was denied, congrats on getting a copy :) I love great world building, it can definitely make or break a book! This one sounds amazing, and I can't wait till it comes out! Fantastic review! I saw this book as someone's Wow weeks ago and I was so intrigued with the whole prophecy and mythology aspect. I really looking forward to this one and it's so great to know that you loved it. Fabulous review, Renu! This does seem like a very exciting story. So happy you loved it so much. Great review ! Woah! I want to read this! :D really engaging plot. Thanks for the lovely review. I can't wait to read this book. It's been on my wishlist for a while now. Anyway, great review! Glad you enjoyed it so much! I have this to review and can't wait to get to it!! It sounds absolutely fabulous!! Great review!! I'm glad you liked this as much as I did! I really liked how the romance was slow in this one. It made it way more believable. Also the characters themselves are so awesome, the camaraderie and the friendship between them rocked my socks. Great review! 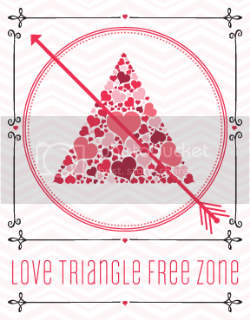 I love the sound of the blurb, so it's great to see your five heart rating! I honestly didn't think this was so original and great. I'd assumed it was just another dystopia. Shows what I know. Anyway, I'm so interested I'm going to download a copy right now, although I've been trying to stay away from edelweiss. Being auto-approved is a blessing AND a curse. I actually requested this a couple of times from Edelweiss but was rejected. Super disappointed, but glad you enjoyed this! There's nothing like the feeling when a book lives up and exceeds your expectations. :) And the fact that you described Iolanthe as an "incredible heroine" has me sold. I'll definitely be getting this when it's released! Wonderful review, Renu. Anyway, I'm glad you loved the romance and MC. I love fantasy novels! World-building is so important in fantasy so really glad to hear that the world-building was amazing in this one. Can't wait to read it now! Fab review, thanks :). I found out about this one earlier and thought it sounded pretty good. Usually when I think that though, the book is a fail so I'm glad that you thought this one was an epic read, Renu. I'm now looking forward to giving it a try. Fingers crossed that I get approved! YAY YAY YAY YAY!!!!! I'm so excited for this book Renu! I can't even explain to you how happy I am that you loved it, it makes me want to pick it up right this minute and start. Stupid work getting in the way:) I'm such a huge fan of a well done romance in my stories, so I can't wait for Iolanthe and Titus!!! WOO HOO! This sounds so cool! I'm not usually a fan of fantasy, but I think I'll have to give this one a try.